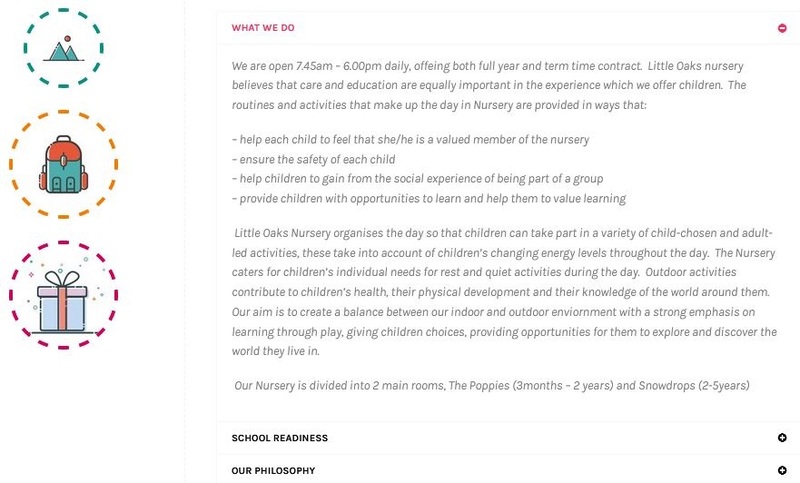 Our client, who already had two other Nursery’s, has recently purchased another, and asked us to produce a new web site to show prospective Mum’s and Dad’s what the children do. Using WordPress, we developed a site with Children in mind. We therefore decided on bright colours and some fun animated text. 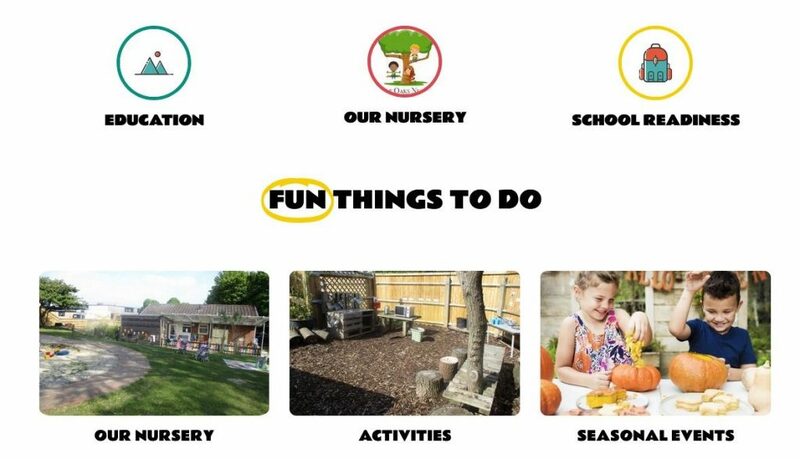 Images were provided by the Nursery of various views of the playing areas showing the activities that are carried out daily. We wanted to include the teachers who are a very important part of the nursery. 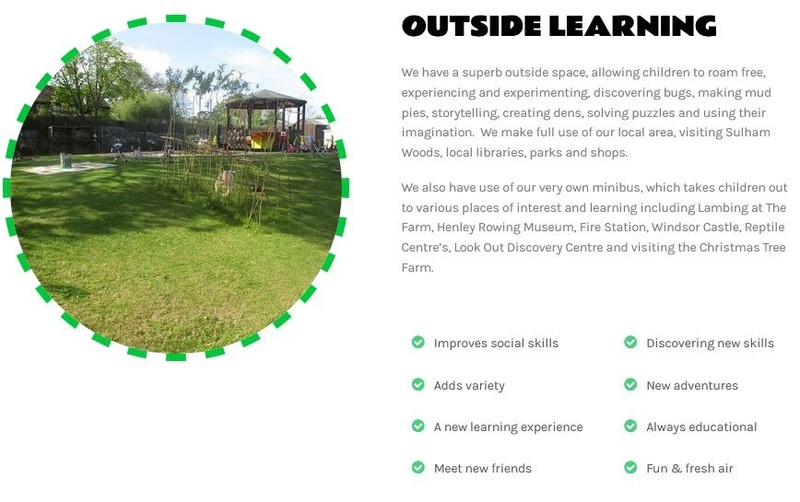 We therefore created a dedicated page which provides a brief description and a photo so that the children can show their parents who tought them during the day. 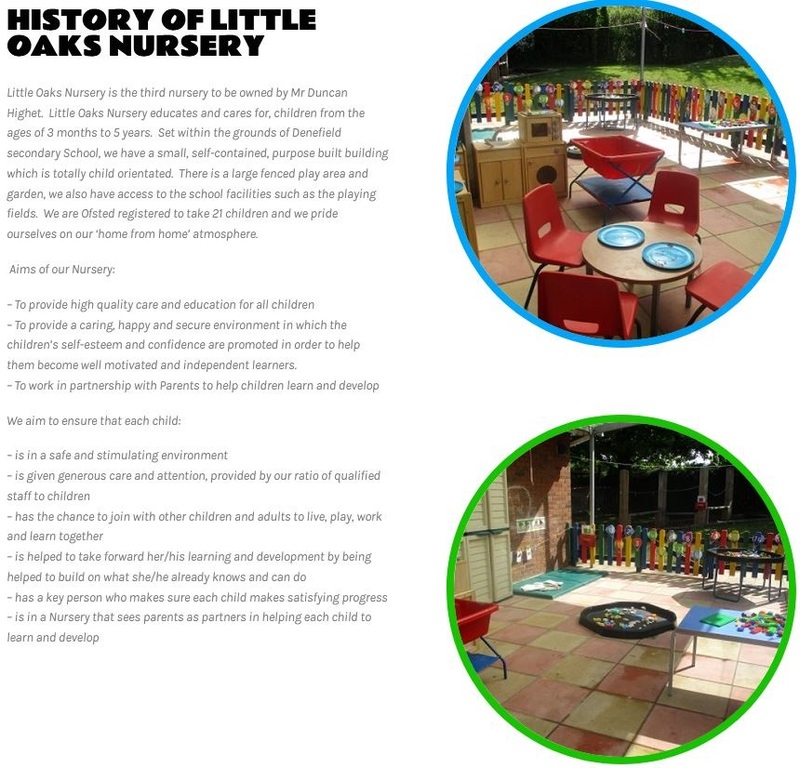 We have provided a complete solution to Little Oaks Nursery including managing their domain name, supporting their email services and providing and hosting a modern, dynamic, fun and child friendly web site. This web site is provided with a CMS (Content Management System) to allow staff to make changes to the site, although we are always available for advise and back-up. Do you own a Nursery or run a small business that requires a web site?